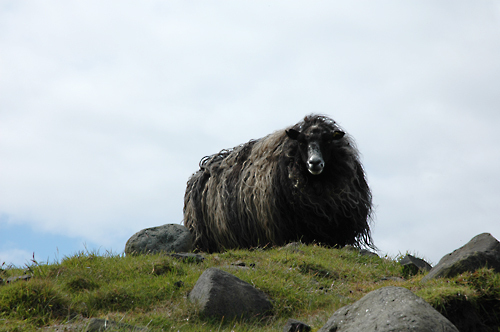 In the Faroe Islands there are an unknown number of sheep. 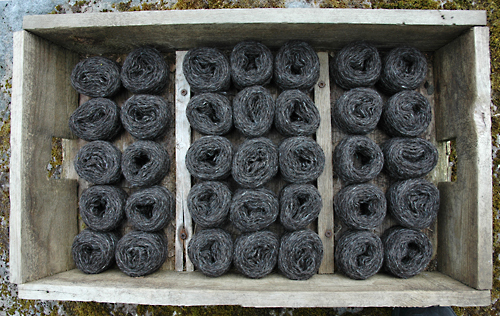 The Faroese company Sirri www.sirri.fo working with development and processing of domestic wool. Sirri has sponsored the performance by indigenous, Faroese yarn. One of the questions in this project is if you can get help to materialize time by knitting, to see the time. If true, this old fishing box contains about 35 saved hours, 35 balls of yarn, waiting to come in handy.